Like many of you, I had been dreaming of building and flying an RC turbine helicopter for several years. Ever since I saw one fly, the experience was permanently imprinted in my mind. Actually the flying had nothing to do with it; it was the wonderful sound and smell. Seeing the heat waves blowing out the exhaust nozzles is pretty special and with those three ingredients stimulating your senses, it really hits home that this is as close to the real deal as most of us RC'ers will get. After looking long and hard for a good RC turbine heli & engine, Bergen RC and Wren Power Systems stood out in the turbine RC heli crowd as true leaders in innovation, quality, and value. I've had my turbine powered Intrepid now (2019) for 10 years and have had hundreds of great flights with it. To this day, I still get just as excited firing it up and then taking to the sky as I did back in 2009 when I first got it! The little boy in me is let loose every time. Living fairly close to a Bell helicopter service center/heli port, has certainly helped "fuel" my turbine helicopter fetish and as it turns out, has made it so convenient to access jet fuel and turbine oil. In fact, new regulations here in Canada require that samples of Jet fuel be tested on a regular basis. These 1L batches which only a small amount of fuel is used for testing purposes, are then usually disposed of. In other words, getting to know your local heli base is a huge bonus as they very well may give you this "sample fuel" for free, which is the exact arrangement I have worked out with our local heli base. RC turbine helicopters are actually not very different from gas or nitro RC helis with the exception of size (perhaps) and cost. They are not enormous, pretty much the same size as larger gas helicopters or 700/800 electrics with rotor diameters in the 2000-2500mm (80-100 inch) range. Most will weigh in at 20 to 30 pounds when fully fueled so they are heavy buggers compared to equivalent 700 or 800 size electrics at roughly double the weight. You do notice that weight in flight and have to fly accordingly - thinking ahead in other words. 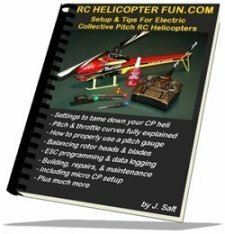 As far as controls, mechanics, and how they are built, RC turbine helis are pretty much exactly the same as gas or nitro RC helicopters. Some of the larger helicopter kits on the market for example (90/700 size or larger) can be fit with turbine engines with modifications. If for example, you perform an internet search for "Trex 700 Turbine Conversion", there is lots of information out there on the process. The main differences between turbine powered and gas or nitro lie around the systems required to keep a turbine engine running such as the turbine engine's FADEC , electric fuel pump and valves, larger fuel tank/s that have to also be burst resistant, UAT (universal air trap), auto start motor, and perhaps a dry sump oil system for gear box lubrication. All these extra systems & components add weight and the added electrical components can use a fair amount of power. It's therefore standard practice to use a dedicated battery pack just to power the turbine engine systems, over and above the normal receiver battery that we are all used to. Speaking of receivers, the radio equipment, servos, gyro are the same you would use on any large nitro, gas, or electric radio controlled helicopter. Servo's naturally must be fairly hi-torque, especially the cyclic's (most kits have recommendations over 20 kg-cm). 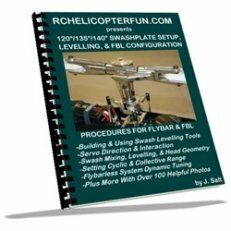 If you fly with a flybarless system, you also have to ensure the flybarless unit's sensors are immune to the turbine's ultrasonic frequencies. I use the Bavarian Demon 3X in my Intrepid, but there other a few others that work as well. One of the biggest differences I found between a turbine powered RC helicopter over gas or nitro internal combustion engines is just how smooth and vibration free a turbine engine runs. They are very much like an electric motor in that respect and have that same "feel" while flying. No reciprocating mass of a piston going up and down and no exhaust pulse, only silky smooth power! No tuning or starting hassles either as the FADEC controls engine management perfectly every time from start up to shut down! So yes, there are certainly some "tangible" performance benefits over the obvious ones that just stimulate the senses. 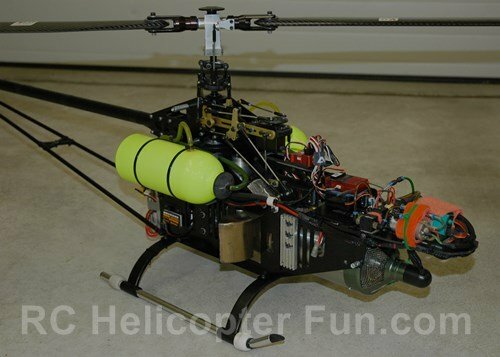 Now that you know a bit more about turbine RC helicopters, let’s spool our way into specifics. 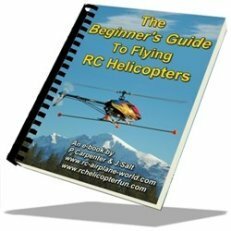 Is A Turbine RC Helicopter Right For You? How Do Model Turbine Engines Work?